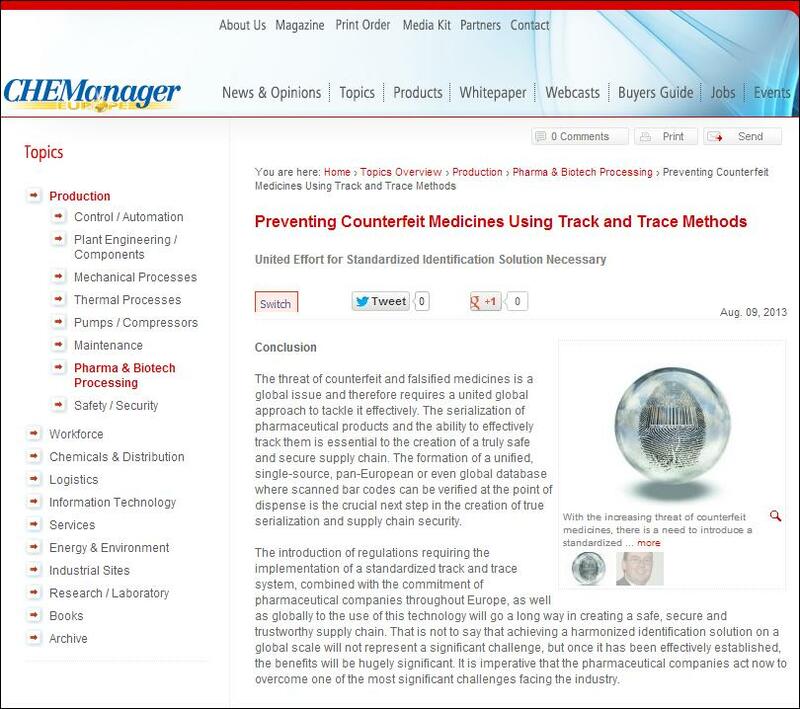 CHEManager Magazine Features Xyntek-Antares In Serialization Article! - Xyntek Inc.
PCI (Packaging Coordinators Inc.), a global leader in packaging services, has chosen the Xyntek-Antares track and trace solution to manage the delivery of serialization at both line and site levels on a global basis. This system merges information held within its own ERP system with information received from PCI's customers to deliver serialization to the customer's product. Click here to read the feature article in CHEManager Magazine and learn more about this exciting collaboration!